The judge in the Sierra LaMar murder trial on Monday delayed her ruling on a controversial piece of evidence introduced by the defense. Antolin Garcia Torres is charged with kidnapping and killing the Morgan Hill-area teen four years ago, but her body has never been found. Prosecutors say DNA evidence links Garcia Torres to her death. 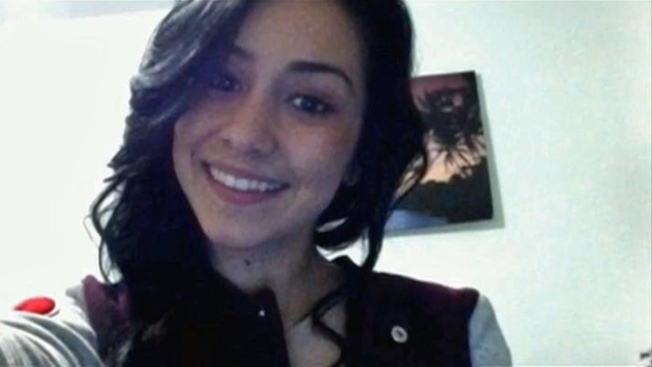 Garcia Torres' attorneys now say Sierra, who disappeared March 16, 2012, is still alive and is a runaway, claiming she wrote about her intentions to flee in a notebook that they have obtained and are requesting to submit as evidence. The note, written in Spanish, says, "I hate my life" and "I will be in San Francisco by 3/16/12," according to court documents. Prosecutors say the note, reportedly found by students in Sierra's school locker, is not in her handwriting and is an obvious prank. Legal analyst Steven Clark added that the defense's runaway theory doesn't explain away DNA evidence or Garcia Torres' incriminating statements to police. Judge Vanessa Zecher delayed her decision on whether the note can be used in the trial. It was not immediately clear when the judge would rule on the motion.